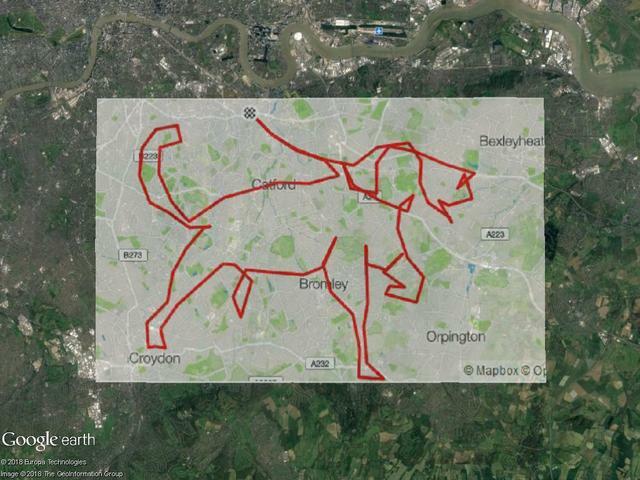 The GPS artists have found a great way to combine sport and creativity. On a map, a motif is drawn, the outline saved as a route and traced with a GPS tracker in his pocket. Now all he have to do is input the recorded tour into the map. selected. But there is much, much more. Search the web for gps artist. The overlays are a bit difficult to do, so not 100% accurate.